Newly the JNU Recruitment 2018 Notification is released by Jawaharlal Nehru University. The JNU is ready to fill up 90 Assistant Professor, Associate Professor, Professor Vacancies. Job Seekers who are interested in faculty Jobs they can use this excellent opportunity by applying for JNU Recruitment 2018. Interested job seekers can submit their application forms in online mode on or before 29th January 2018. Applying candidates can refer this article completely and get entire information such as Post Wise Educational Qualification, Age Limit, Application Fee, Salary Details, Selection Process, and Simple Steps to Apply For JNU Professor Vacancies 2018. Moreover, complete information about JNU Recruitment 2018 is clearly mentioned in the below section. So, scroll down this page and refer the data. JNU Recruitment 2018: Jawaharlal Nehru University plans to recruit desired candidates for 90 Assistant Professor, Associate Professor, Professor Vacancies. Aspirants who are eagerly looking for JNU Recruitment 2018 Notification they can enhance this opportunity. Job Seekers can fill the application forms up to 29th January 2018. Aspirants who want to be an employee in Jawaharlal Nehru University they must apply for JNU Professor Recruitment 2018. Candidates who are applying for Assistant Professor, Associate Professor, Professor Vacancies they must possess their B.Tech/ M.Tech/ M.Sc/ Ph. D/ M.Arch/ M.A in any relevant discipline from any recognized University or Institute. After releasing the official notification a massive number of candidates have shown together Professor Vacancies. People who are getting confused about the JNU Recruitment 2018 they need to read the entire article and apply before 29th January 2018. Interested and willing aspirants can apply online by visiting the official website of Jawaharlal Nehru University www.jnu.ac.in. Want to know more information than simply scroll down this page. JNU Recruitment 2018 Notification is out for Assistant Professor, Associate Professor, Professor Vacancies. And the JNU has issued totally 90 posts. As this is a golden chance for the people who want to make their career in the teaching field in a government sector. Contenders age limit should be between 18 Years to 56 Years. The upper age relaxation is as per Jawaharlal Nehru University norms. And refer the official notice and get more information about age relaxation. As this is the best career option for the job seekers who are looking for Government Jobs. Before applying for JNU Recruitment 2018 applicants must check the eligibility criteria whether you are eligible or not. If you are suitable then don’t waste your time by searching for the details. Here on this page, we are providing whole information about JNU Faculty Vacancies 2018. As per the news, applicants must apply for Assistant Professor, Associate Professor, Professor jobs on or before the closure date that is 29th January 2018. The applying candidates must face Interview round. For more updates check our website SarkariRecruitment.com regularly. All the Eligible candidates can apply online by 29th January 2018. While applying for JNU Recruitment 2018 Notification the General and OBC category candidates need to pay Rs. 500/-. And there is no application fee for SC/ ST & Women Candidates. We suggest all the candidates don’t wait until the last date. Apply JNU Professor Jobs 2018 as soon as possible. Selected people for JNU Vacancies 2018 will receive good remuneration offered by Jawaharlal Nehru University. The Post Wise salary details are provided in the below section. By referring this article you can check Post Wise Vacancy Details, Eligibility Criteria, Pay Scale, Important Dates etc. We are providing some instructions in the below section. So, make use of the steps and apply for JNU Recruitment 2018. Candidates can also refer the official website of Jawaharlal Nehru University and find more information. At the bottom of the page, we attached a direct JNU Recruitment 2018 Notification link. For more details check the notification. 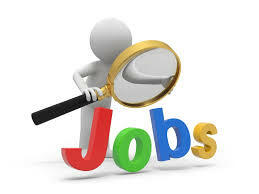 Visit our website Sarkari Recruitment and find more Central Government Jobs. Candidates who are looking for Assistant Professor, Associate Professor, Professor Vacancies now its time to apply for JNU Jobs 2018. The education qualification for Assistant Professor, Associate Professor, Professor Vacancies is must complete their B.Tech/ M.Tech/ M.Sc/ Ph. D/ M.Arch/ M.A in any relevant discipline from any recognized University or Institute Or BVSc/ MVSc/ MBBS/ MD/ degree with Ph.D from a recognized Institute. Also, check the official notification and refer more stuff about education qualification. The Maximum Age Limit is 56 Years. Check the advertisement and refer age relaxation details. Candidates who are registered for JNU Professor Jobs 2018 they must face interview round. For General and Candidates, the application fee is Rs. 500/-. And for SC/ ST & Women Candidates the application fee is Nill. For Assistant Professor: Rs. 37, 400/- to 67, 000/- along with grade pay Rs. 10, 000/- Per Month. For Associate Professor: Rs. 37400/- to Rs. 67000/- along with grade pay AGP Rs. 9, 000/- Per Month. For Professor: Rs. 15, 600/- to Rs. 39100/- along with grade pay Rs. 6, 000/- Per Month. The Initial Date to Fill the Online Application Form: Started. The Final Date for Submitting the Online Application Form: 29th January 2018. At first, applicants must visit the official web portal of Jawaharlal Nehru University www.jnu.ac.in. On the home page search for JNU Recruitment 2018 Notification link. Click on the link and download the notification. Now read the information carefully. Candidates who are suitable for professor jobs they must download the application form. Fill the form with required details with exact information. We suggest all the applicants before filling the application form once check the JNU Recruitment 2018 details and then apply before 29th January 2018. The above provided information gives clear data about JNU Professor Jobs 2018. And candidates can view their examination results on Sarkari Result.